To everyone who told me I’d be hooked as soon as I read my first Karin Slaughter book: you were absolutely right. THE GOOD DAUGHTER is the kind of exceptional psychological thriller that only comes around once every so often—a story as in-your-face shocking as it is tender and heartbreaking. Page by page, Slaughter methodically unfolds the history of two sisters, and reveals the horrific past that has both tied them together and driven them apart. Slaughter has written a brilliant, bold crime novel that examines the unbreakable bond of family and the lengths two women will go to uncover the truth about the brutal secrets of their past. Right from page one, THE GOOD DAUGHTER differentiates itself from the summer’s biggest thrillers with its gritty, no-holds-barred plotting. This is not your next cookie-cutter beach read; THE GOOD DAUGHTER pairs better with a midsummer thunderstorm than a day in the sun. As a new Slaughter reader, I was immediately struck by just how tough and dark her writing is—qualities that I absolutely love. Slaughter doesn’t shy away from describing violence in graphic detail, yet each moment of violence is purposeful and intentional, driving character development and giving readers firsthand investment in finding justice for the victims of these horrific acts. I’m the first person to be critical of gratuitous violence in crime fiction, but in the case of THE GOOD DAUGHTER, each violent moment directly contributed to my understanding of the story’s characters: their motivations, their anxieties, and even their habits are inextricably tied to the violent scenes Slaughter depicts. In short, this book is dark, but it’s dark for a purpose. I must admit, I was genuinely surprised by how character-driven this story is. 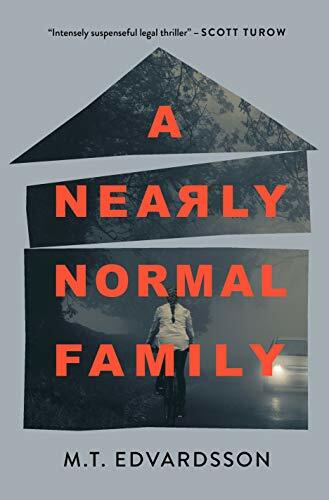 Somewhere along the way, I picked up the idea that this book would be more focused on the legal element of the story - following Charlie, a lawyer, as she finds herself wrapped up in a case that brings back traumatic memories from her childhood. It's certainly true that Charlie's legal background plays into this story, but the book spends significantly more time fleshing out Charlie’s family than I expected. Readers who want a straight police procedural or a true legal thriller will be better off looking elsewhere—THE GOOD DAUGHTER is first and foremost a story of a family struggling to overcome its dark and secret-laden past. While this isn’t the kind of read I went into the book expecting, the story’s rich character development and emotional, often horrific flashbacks left me all the more invested in it. Speaking of character development—this is where Karin Slaughter shines most of all. In a story fraught with violence and laced with anger, it takes a special writer to develop two characters who somehow manage to balance the story’s sharp edges with fragile humanity. Charlie and Sam, the sisters at the heart of THE GOOD DAUGHTER, leap off the page. Their quirks, scars (both emotional and physical), and personalities are just somehow true—I dare you to read this book and not find yourself invested in their well-being. Slaughter has done a magnificent job bringing all her characters to life, Charlie and Sam in particular. Neither of these characters could be called “typical”; both are uniquely quirky and eccentric, yet Slaughter crafts them in a way that is just so human, readers will be hard-pressed to keep these two women from getting under their skin. THE GOOD DAUGHTER might be about solving crimes past and present, but it’s driven by its wholly unique and compelling characters. It's worth noting that this story does not develop in linear progression. THE GOOD DAUGHTER unravels more like an onion, with the author peeling away layer after layer to get to the truth at its core. This plot structure works beautifully in supporting the character-driven nature of the story—readers are drawn into the unique backstories and present-day lives of Charlie and Sam in deliberate, measured fashion. Slaughter knows exactly when to give up bits of information and when to withhold them, and readers will be riveted by her slowly-but-surely approach to unraveling this thriller's mysteries. I would hate to share too much about the ways in which this story develops. So much of the intrigue of this book is found in the unexpected and layered plot twists and turns that Slaughter dishes out, and I would never want to take that reading experience away from you! Suffice it to say that Karin Slaughter’s THE GOOD DAUGHTER is dark, gritty, gut-wrenching psychological suspense—a Summer 2017 must-read.